light that’s as bright as you! Spotlight your fashion-forwardness with an accessory as unique as you. It's fun. It's flirty. It's fashionable. 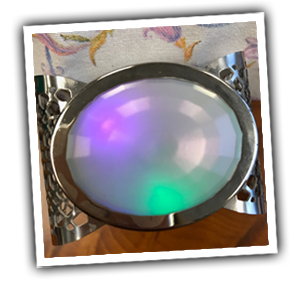 Whether you're feeling classy or sassy, this interactive bracelet offers three customizable settings to illuminate your versatility. 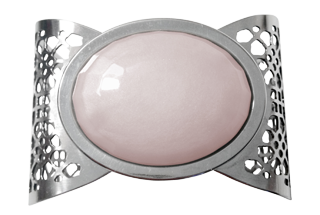 From an All-American day at the office to a Euro-chic night on the town, the metal weave cuff with flashing opal suits any occasion and every woman. 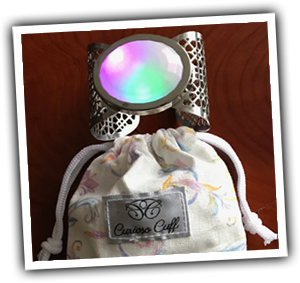 As a gift or social ice-breaker, Curioso Cuff lets you light up a room with more than your sparkling personality.